179. Peter DEAS (Elizabeth BOSHOFF110, Susanna Elizabeth ANDERSON48, Johannes Eduard14, Johannes Edward3, William Of Griquatown (Rev. 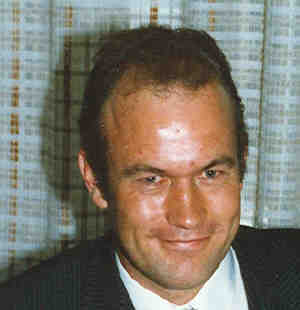 )1) was born in 1948 in Salisbury (Now Harare Zimbabwe) and died in 2010 aged 62. Charles married Linda Theresa ZIMMER. Erica married Barend Daniel ESTERHUIZEN. Ernest married Teresa DE SOUZA. Ernest next married Sandra Phoebe PRINSLOO. Delene married André STEYN.19 André was born on Jun 3, 1960 in Brakpan Transvaal South Africa19 and died in 1996 in Zamba19 aged 36. Melanie married Guy Patrick HARRIS. Nerina married John Christopher JOHNSON. 194. John Frederick HELM 31 (Susanna Catherina HELM125, George Rex HELM59, William Ebenezer HELM17, Johanna Maria Williamina ANDERSON6, William Of Griquatown (Rev. )1) was born on Jul 20, 1937 in Bethlehem, Orange Free State, Union Of South Africa31 and died on Dec 21, 1989 in Orange Freestate, Republic of South Africa aged 52. John married Eliza Amelia MURPHY 31 on Dec 10, 1966 in Petrus Steyn, Orange Free State, Republic Of South Africa.31 Eliza was born on Feb 20, 1942 in Petrus Steyn, Orange Free State, Union Of South Africa31 and died on Mar 22, 1981 in Pretoria, Transvaal, Republic Of South Africa31 aged 39. 197. John Philip ANDERSON (Durant Philip (Rev)135, Berthold Kayser79, Ebenezer Thomas32, Bartholomew Ebenezer (Rev. )8, William Of Griquatown (Rev. )1) was born !0 Feb 1943 and died on Jun 25, 1997. Peter married Elizabeth (Su Fang) FANG. 199. David Harold ANDERSON (Durant Philip (Rev)135, Berthold Kayser79, Ebenezer Thomas32, Bartholomew Ebenezer (Rev. )8, William Of Griquatown (Rev. )1) was born on Sep 7, 1945 and died on Mar 15, 1998 aged 52. Marilyn married Brian Wesley WHITLEY. Denis married Katherine Lyall HARGOOD. Katherine was born on Jan 2, 1960. Carl married Madeleine Menanteau DU PLESSIS. Irene married Pieter VAN JAARSVELD. Erna married Karl Bremer GERICKE. Lynn married Rodrique David Vernon CRICHTON. Sally married Ronald Brian NIENABER. Rory married Susan Michelle BURNETT. + 319 M i. Ryan David ANDERSON was born on Jul 3, 1987 and died on Oct 16, 1991 in Cape Town South Africa aged 4. William married Mary Birkett DENT, daughter of Thomas DENT and Mary BIRKETT. William next married Linda Karen PEDERSEN, daughter of Ivan PEDERSEN and Barbara GREENAWAY. Michael married Penelope Jean SYMONS, daughter of Phillip SYMONS and Jessie Margaret KABLE. Edward married Susan Christine BLANDY. Edward next married Diana Lynn WILEY. + 328 F ii. Vanessa Lynn Wiley ANDERSON was born on Feb 26, 1981 in Toronto, Ontario, Canada, died on Sep 21, 2011 in Toronto, Ontario, Canada aged 30, and was cremated in Toronto, Ontario, Canada. Edward next married Natasha ABABEI, daughter of Ioan ABABEI and Svetlana ALEXANDRIN. 219. Ronald Ian ANDERSON (Ralph Blyth (Dr.)140, William Wardlaw (Rev. )80, Ebenezer Thomas32, Bartholomew Ebenezer (Rev. )8, William Of Griquatown (Rev. )1) was born on Feb 10, 1947 in Harare Zimbabwe, died on Jul 7, 2011 in Leighton Buzzard, U.K. aged 64, and was cremated in 2011 in Amersham, England. 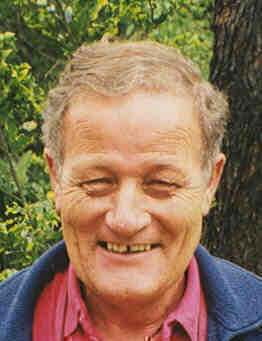 • Death: Jul 7, 2011, Leighton Buzzard, U.K. According to Sue, Ronald collapsed with a heart attack and with his head in her arms. • Eulogy: Edward R Anderson, Ronald's brother attended the funeral service. remembered our fun visits to you in Harare. family, friends and country and I want to make sure you know that I know. you, I'd like to plan that with Sue, Colin and Tracey. Ron, thanks for the memories and friendship. access the slide show on Flckr. Ronald married Susan Catherine SMITH, daughter of John Percy SMITH and Kathleen Ramsay WILSON. + 330 M ii. Colin Ron ANDERSON was born on Feb 10, 1973 in Harare, Zimbabwe, died on Jul 6, 2014 in Annecy, France aged 41, and was buried 9 Jul 2014 Cremated in Annecy, France. 220. Helena Elizabeth ANDERSON (Ralph Blyth (Dr.)140, William Wardlaw (Rev. )80, Ebenezer Thomas32, Bartholomew Ebenezer (Rev. )8, William Of Griquatown (Rev. )1) was born on Dec 2, 1951 in Salisbury (Now Harare). Another name for Helena was Fred ROSE. Helena married Michael James Haxton ROSE, son of Arthur Mckenzie ROSE 56 and Agnes Jean MILLAR. 221. David John ANDERSON (Ralph Blyth (Dr.)140, William Wardlaw (Rev. )80, Ebenezer Thomas32, Bartholomew Ebenezer (Rev. )8, William Of Griquatown (Rev. )1) was born on Sep 20, 1960 in Salisbury (Now Harare, Zimbabwe), died on Nov 26, 2004 in 262 Thatchers Field, Lynnwood, Pretoria, South Africa aged 44, and was cremated in Interred In St.Francis Church Garden, Pretoria South Africa. Another name for David was Dave ANDERSON. David next married Deborah Ann SERFONTEIN, daughter of Christian Peter SERFONTEIN 57 and Jeanette Ann FORSYTH. Allan married Olwen Anita BROOKE, daughter of Leonard Robert BROOKE and Ruth Olwen JONES. Carol married Colin Edward John MARTIN. 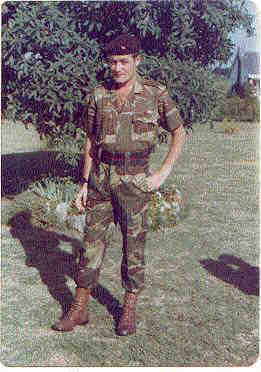 Colin was born on Oct 16, 1951 in Fort Victoria (Now Masvinga) Zimbabwe and died on Oct 16, 2008 in England aged 57. Carol next married Robert Cyril Jillings VOS. Carol next married Randal Jack SPEELMAN, son of Unknown and Alpine Francis SPEELMAN. Peter married Geralyn Anne FORD, daughter of Gerald Henry FORD and Phyllis RODEN. 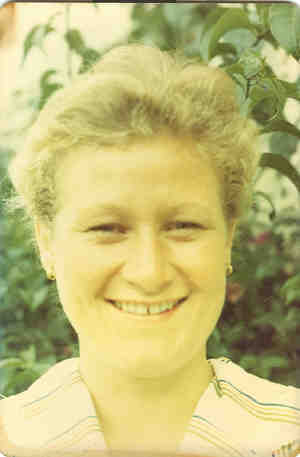 Geralyn was born on Sep 30, 1951 in Germiston Transvaal South Africa and died on Nov 25, 1998 in Hong Kong aged 47. They had no children. • She Studied at Roosevelt Girls High in Salisbury, now Harare, Zimbabwe, and graduated from the Teachers College, Bulawayo in 1972. She also studied at the London Bible College UK receiving her Certificate in Biblical Studies. Peter next married Elizabeth Su-Fang CHANG, daughter of Joseph CHANG and Esther CHEN. Graeme married Theresia Henrietta VENTER, daughter of Johannes Marthinus Christoffel VENTER and Marthinus Johannes Hermanus SCHEEPERS. John married Anna VAN DEN BOOGAARD, daughter of Willem Hendrik VAN DEN BOOGAARD and Elizabeth Martha Maria MANK. Brian married Jennifer Anne ROBINSON, daughter of Clifford William ROBINSON and Kathleen Rosemary PARK. Christopher married Anne Kathleen ROBINSON, daughter of Clifford William ROBINSON and Kathleen Rosemary PARK. 229. David Charles MORRIS (Sheila Frances ANDERSON143, William Wardlaw (Rev. )80, Ebenezer Thomas32, Bartholomew Ebenezer (Rev. )8, William Of Griquatown (Rev. )1) was born on Dec 29, 1946 in Richard Morris Hospital, Bulawayo, S.Rhodesia (Zimbabwe) and died on Jul 19, 1981 in Johannesburg, Transvaal , South Africa aged 34. David married Christine Elizabeth LEYLAND. Margaret married Christopher Paul DICKINSON, son of James DICKINSON and Joan Yvonne CROMPTON. + 355 M i. Michael Paul DICKINSON was born on Mar 9, 1978 in Gwelo, Southern Rhodesia, (Now Gweru, Zimbabwe) and died on Apr 1, 2001 in Johannesburg South Africa aged 23. Sheila married John Michael GWILLIAMS, son of Jack GWILLIAMS and Evelyn BARKER. Lesley married Valerie Gail BURAK, daughter of Joseph BURAK and Anne TODEREN. Gavin married Dana Riddley PAULY. Barry married Doris MAYNARD, daughter of Georges MAYNARD and Imelda UNKNOWN. Kevin married Belinda Ann BLACK, daughter of Archiebald Brian Gilbert BLACK and Erica Jane ROMYN. Gordon married Laine Helen SOUTHEY, daughter of Stephen Rubidge SOUTHEY and Elje Illone MAAR. Noreen married Robin CATTLE, son of Nigel Selwyn CATTLE and Hanny CHRISTEN. Richard married Debbie Jane CARVER, daughter of Terrence Colin CARVER and Sylvia Margaret CRICK. Colin married Linda Ingrid SHAFER, daughter of George SHAFER and Dawn UNKNOWN NAME. Steven married Marion Jean KASCHULA, daughter of Ronald Otto Christian KASCHULA and Sheila Roberta DARBY. + 379 F ii. Amy Claire ANDERSON was born on Aug 20, 1999 in East London South Africa. + 380 F iii. Sarah Grace ANDERSON was born on Jul 12, 2002 in East London, Southern Africa and died on Jul 12, 2002 in East London South Africa. Ingrid married Henri VAN DER MERWE. Ian married Sharon MARTIN ?. Ian next married Paddy UNKNOWN. Wendy next married Michael BLAKE. Bazett married Elizabeth Johanna KRUGER. 274. Unknown UNKNOWN 19 (Jessie ANDERSON166, Marjorie Helen ANDERSON100, Charles Thomson (Dr.)40, Bartholomew Ebenezer (Rev. )8, William Of Griquatown (Rev. )1) was buried in Church Yard At Little Baddow, Essex, England. 57. Dorothy Serfontein & Family, Serfontein Atlas (Compiled by Dot Serfontein & Tientie van Wyk in 1984. Supplemented by Jeanette Serfontein (nee Forsyth) spouse of the late Peter Serfontein, and his sister Pamela Upton.). 58. Details of Direct Line of Family from Joseph and Mary Smith (Scanned from a typed document provided by Susan Anderson (Nee Smith) in June 2006). 59. To be added later, Millars of Greenock.